SPEC makes this benchmark to allow professionals to benchmark combinations of components so you can learn how well a specific component will work for a professional deployment. The following description is for each of the tests and is pulled directly from their page to avoid any issues or misunderstandings. 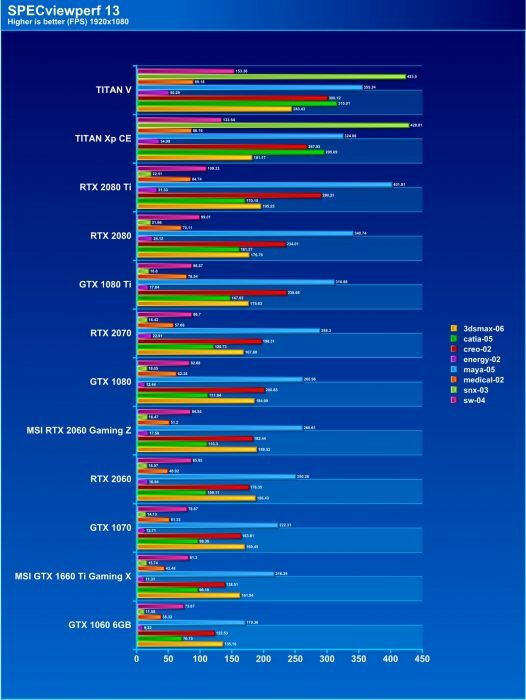 These benchmarks are GPU targeted to see how your Graphics accelerator can render heavy professional workflows. Note: 3DStudioMax does not support 2160p so you will notice it is absent from the 4K results. The energy-02 viewset is based on rendering techniques used by the open-source OpendTect seismic visualization application. Similar to medical imaging such as MRI or CT, geophysical surveys generate image slices through the subsurface that are built into a 3D grid. Volume rendering provides a 2D projection of this 3D volumetric grid for further analysis and interpretation. At every frame, the bounding cube faces of the volume are tessellated and rendered with a fragment shader that performance a ray-cast from the eye position through the volume, accumulating transparent lit, color-mapped values until either the pixel becomes fully opaque or the volume is exited. The voxel in the 3D grid is a single scalar value. A transfer function — simply a 1D lookup table — maps the 3D density value to color and alpha values. For lighting calculations, the gradients are computed on the fly using the central differences at each voxel. These state changes exercise various parts of the graphics subsystem. This viewset makes use of hardware support for 3D textures and therefore trilinear interpolation. In addition to the volume rendering, the test includes both inline and crossline planes (slices in the X and Y planes). Also, for some subtests, “horizons” are present – these are geological strata boundaries of interest, generated by exploration geophysicists, and are rendered using textured triangle strips. The 3D datasets used in this viewset are real-world seismic datasets found at https://wiki.seg.org/wiki/Open_data . They were translated from their native SEG-Y format and compressed using JPEG-2000. The maya-05 viewset was created from traces of the graphics workload generated by the Maya 2017 application from Autodesk. The viewset includes numerous rendering modes supported by the application, including shaded mode, ambient occlusion, multi-sample antialiasing, and transparency. All tests are rendered using Viewport 2.0. The medical-02 viewset uses the Tuvok rendering core of the ImageVis3D (http://www.sci.utah.edu/software/imagevis3d.html) volume visualization program. It renders a 2D projection of a 3D volumetric grid. A typical 3D grid in this viewset is a group of 3D slices acquired by a scanner (such as CT or MRI). Two rendering modes are represented – slice-based rendering and ray-casting. For slice-based rendering, a series of coplanar slices aligned with the current viewing angle are computed on the CPU and then sent to the graphics hardware for texturing and further calculations, such as transfer function lookup, lighting and clipping to reveal internal structures. Finally, the slices are blended together before the image is displayed. For ray-casting, rays are cast through the volume, accumulating transparently lit, colored pixels until full opacity or the bounds of the volume are reached. For both slice-based and ray-cast rendering, the volumes are potentially subdivided into 512x512x512 3D volumes. 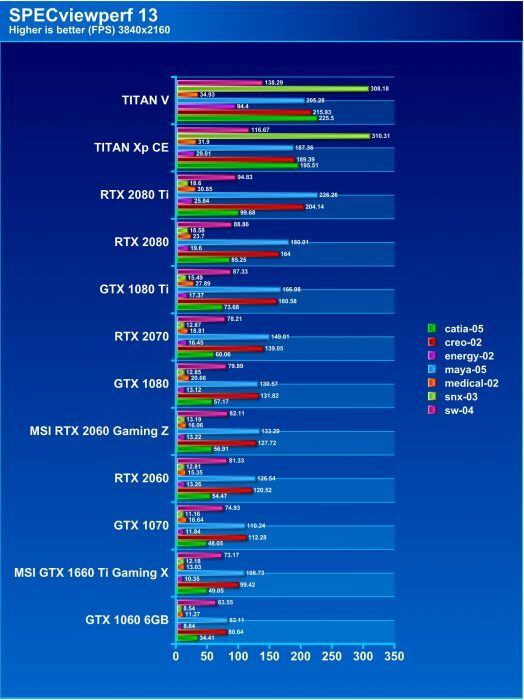 This technique is known as “bricking” and typically results in better rendering performance on a wider range of GPU hardware. The voxel in the 3D grid is a single scalar value. A transfer function — either a 1D or a 2D lookup table — maps the 3D density value to color and alpha values. For 2D tables, the second axis is defined as the magnitude of the gradient at each sample. For lighting calculations, the gradients are computed on the fly using the central differences at each voxel. These state changes exercise various parts of the graphics subsystem. This viewset makes use of hardware support for 3D textures and therefore trilinear interpolation. 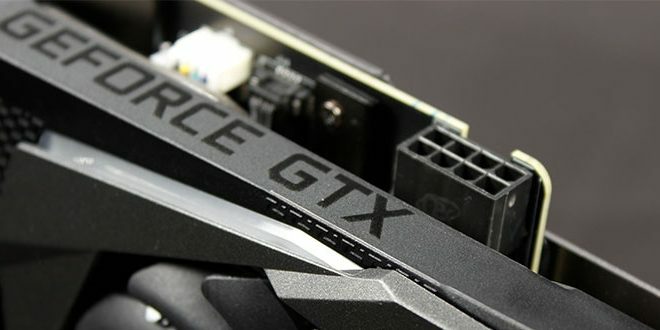 The professional test shows that the GTX 1660 Ti Gaming X while competent enough to do the tasks, it’s not really ideal. The 1660 ti’s optimized Turing GPU however does do a good job of displacing the outgoing 1060 and even displacing the GTX 1070 in some tests.